The growth of energy-related data in the last decade has created new opportunities for data-driven exploration of solutions to energy problems. Capitalizing on the opportunities presented by this new wealth of data will require scholars with training in both data science and energy application domains. Yet traditional graduate education is limited in its ability to provide such dual expertise. That's why the Duke University Energy Initiative has established the Energy Data Analytics PhD Student Fellows program, preparing cohorts of next-generation scholars to deftly wield data in pursuit of accessible, affordable, reliable, and clean energy systems. Each fellow will conduct a related research project for nine months, working with faculty from multiple disciplines. In addition to funding equivalent to one-half of a full fellowship for an academic year, fellows will receive conference travel support and data acquisition support up to $2,000, as well as priority access to virtual machines, storage, and other computational resources. The scholarship of the first two cohorts of fellows will be highlighted at a symposium at Duke University in spring 2020. 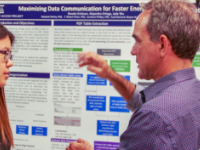 The Energy Initiative is currently accepting applications for the second cohort of Energy Data Analytics PhD Student Fellows (2019-2020). 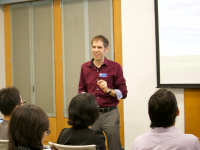 Consider attending an information session on Feb. 1 or Feb. 22, when you'll be able to meet the current fellows, hear about the program, and learn more about a specific data science topic or skill. Download the call for proposals, which provides more detail about the program, benefits, eligibility, and duration. Download the application, which should be emailed as an attachment to Kyle Bradbury by 11:59 p.m. on March 1, 2019. Contact Kyle Bradbury (kyle.bradbury@duke.edu), managing director of the Energy Data Analytics Lab, with any questions about this program. 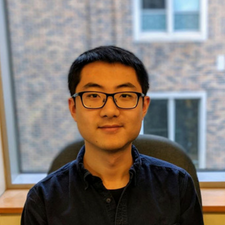 Bohao Huang is a Ph.D. student in electrical and computer engineering at Duke's Pratt School of Engineering. He is part of the Applied Machine Learning Lab at Duke. He focuses on the translation of advanced machine learning techniques into practical solutions for challenging real-world problems. Project summary: Energy security is vital to the prosperity and sustainability of modern societies. Ensuring energy security relies upon effective decision-making and energy systems modeling, a crucial component of which is access to high quality energy systems information. Unfortunately, however such information is often of limited availability, incomplete, or difficult to access because it is proprietary. Aerial imagery (e.g., color satellite imagery) is increasingly cheap and abundant, and may provide a rich source of energy systems information, but extracting useful information from such imagery is costly. I propose to leverage recent advances in deep learning to develop algorithms that can automatically extract useful energy systems information from large volumes of aerial imagery, potentially yielding a powerful and scalable new source of such information. You can contact Bohao at bohao.huang@duke.edu. 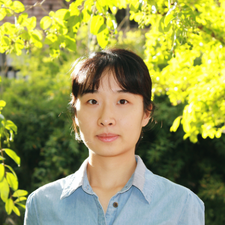 Qingran Li is a Ph.D. student in the University Program in Environmental Policy (economics track) offered jointly by Duke's Nicholas School of the Environment and Sanford School of Public Policy. Her research includes using analytical tools to understand behavioral responses to policies and developing interdisciplinary solutions to energy and environmental issues. Project summary: "Residential electricity consumption is an important indicator of household characteristics, but it is often held confidential by utilities and seldom reported by publicly available energy surveys. Missing such information significantly constrains our ability to answer important policy questions. My project targets a big question: How can we estimate residential electricity demand more precisely? Using the smart meter data set from an Irish CER trial project and the national time use survey, this project aims at correcting the estimation bias from behavioral and policy-related factors which are often overlooked in the conventional engineering and statistical models. A new algorithm will be developed to identify residential usage patterns with additional information provided by behavioral surveys so that information lost from inadequate load samplings can be compensated." You can contact Qingran at qingran.li@duke.edu. Edgar Virguez is a student in the doctoral program in environment at Duke's Nicholas School of the Environment. He is interested in contributing to the understanding of market mechanisms that facilitate the integration of variable energy resources. He holds a BS in environmental engineering, a BS in chemical engineering and a MS in environmental engineering. 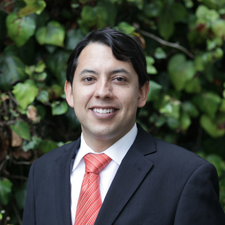 During the last decade, he has worked with several institutions (e.g., Universidad de los Andes, World Bank, Inter-American Development Bank) promoting the adoption of cleaner fuels in transport and industry throughout Latin America. Project summary: "My project aims to design quantitative tools supporting the process of assessing policy and market approaches, promoting an increased penetration of variable energy resources in the energy matrix. This assessment will be performed based on the economic, reliability, and environmental dimensions of the electric power system, accounting for the benefits of reduced fuel use and emissions, and for the increased capital costs of renewables and the necessary re-dispatching of conventional generators." You can contact Edgar at edgar.virguez@duke.edu. Tianyu is a PhD student in the department of computer science at Duke. Before coming to Duke, he obtained a BS in mathematics and computer science from the Hong Kong University of Science and Technology. 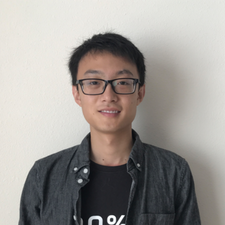 His general research interests are in machine learning and applications of machine learning algorithms. Project summary: "With the accumulation of energy data, energy domain problems are in need of more sophisticated machine learning models such as neural networks. However, building neural networks of high quality requires heavy human effort, since different hyperparameter configurations lead to significantly different performances. My project will use a multi-armed bandit approach to efficiently design the architecture of neural networks for energy domain problems such as energy demand prediction." You can contact Tianyu at tianyu@cs.duke.edu. 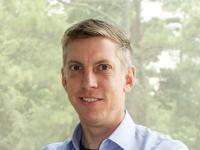 Kyle brings experience in machine learning and statistical modeling to energy problems.